2018 has seen huge strides in diversity in sports, entertainment and politics. “Diversity” has grown into somewhat of a buzzword over the years. In the entertainment industry, diversity was called into question in 2015 when all Oscar nominees in leading roles were white. In October, a lawsuit against Harvard University alleging that the university's admissions process focused too much on race went to trial. And after the midterms, some commentators criticized the lack of racial and gender diversity among the newly-elected Republican members of Congress. “Crazy Rich Asians” premiered on August 7. The film, which was distributed by Warner Bros. Pictures, was the first by a major Hollywood studio to feature a majority Asian cast since “The Joy Luck Club” in 1993. It grossed $238 million worldwide, making it the most successful romantic comedy in a decade. The film was nominated for a Golden Globe for Best Motion Picture – Musical or Comedy. Constance Wu also earned a Golden Globe nomination for Lead Actress in a Comedy or Musical Motion Picture. Wu is the first Asian woman to earn a nomination at the Golden Globes in 44 years. While the film, set in Singapore, was criticized for its failure to accurately portray the country’s diversity, it did usher in what many called “Asian August.” Netflix released “To All the Boys I Loved Before” later that month. The film featured Lana Condor, a Vietnamese-American actress, in the lead role. Netflix later revealed that the film was one of its top-streamed films of 2018, with a “strong repeat viewing.” “Searching,” starring Korean-American actor John Cho also premiered that month with strong reviews. Actor Chadwick Boseman at the Los Angeles World Premiere of Marvel Studios' BLACK PANTHER at Dolby Theatre on January 29, 2018 in Hollywood, California. The Marvel Studios film premiered in January. 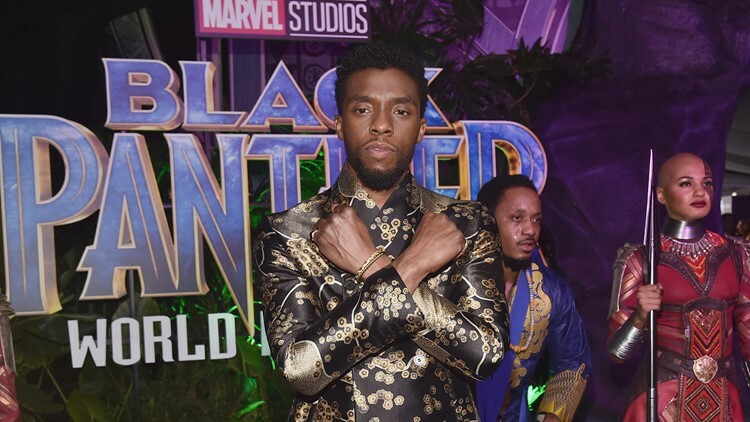 The superhero film stars Chadwick Boseman as T’Challa, who along with being the Black Panther, is also king of the fictional African kingdom of Wakanda. The film broke numerous box office records and is currently the ninth highest-grossing film of all time. “Black Panther” was also the first film played in Saudi Arabian movie theaters after a 35-year ban. “Black Panther” was nominated for three Golden Globe Awards and two Screen Actors Guild Awards. 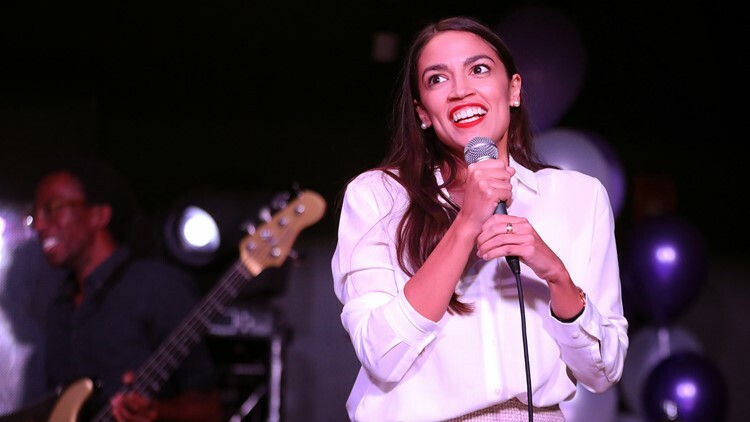 Alexandria Ocasio-Cortez addresses the crowd gathered at La Boom night club in Queens on November 6, 2018 in New York City. The results of the 2018 midterm elections saw multiple firsts on the local and national levels. New York activist and Democrat Alexandria Ocasio-Cortez, who turned 29 in October, became the youngest congresswoman ever. Democrats Ilhan Omar and Rashida Tlaib became the first Muslim women elected to Congress. Omar is also the first Somali congresswoman, and Tlaib is the first Palestinian congresswoman. Democrats Sharice Davids and Debra Haaland became the first Native American women elected to Congress. Democrats Veronica Escobar and Sylvia Garcia were the first Latina women to be elected into Congress. Massachusetts Democrat Ayanna Pressley became the first African-American woman elected to Congress. Republican Marsha Blackburn became Tennessee’s first female senator. Republican Kristi Noem became South Dakota’s first female governor. Democrat Jared Polis became the first openly gay man elected as governor when he defeated Republican Walker Stapleton in Colorado. Danica Roem was elected to the Virginia General Assembly in January and became the first openly transgender person to serve in any U.S. state legislature. Roem ran against Bob Marshall, who was a 13-term incumbent. She was included in TIME Magazine’s cover in January highlighting new female candidates and elected officials from around the nation. 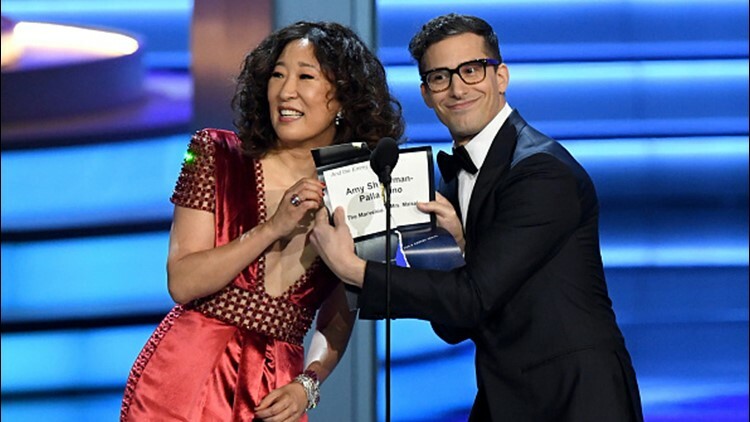 Sandra Oh (L) and Andy Samberg present the Outstanding Directing for a Comedy Series award onstage during the 70th Emmy Awards at Microsoft Theater on September 17, 2018 in Los Angeles, California. Sandra Oh made history this year when she became the first Asian woman nominated for an Emmy for lead actress in a drama series for her role in BBC series “Killing Eve.” Oh had been nominated five times in the past for her supporting role in “Grey’s Anatomy,” but she never won. Oh did not win lead actress this year either. The prize went to Claire Foy for her role as Queen Elizabeth in Netflix’s “The Crown.” Oh will co-host the 2019 Golden Globes with Andy Samberg, making her the first Asian woman to host the show. CIA Director nominee Gina Haspel speaks during her confirmation hearing before the Senate (Select) Committee on Intelligence May 9, 2018 in Washington, DC. If confirmed, Haspel will succeed Mike Pompeo to be the next CIA director. Gina Haspel was confirmed by the Senate as the CIA’s first female director in May. The 61-year-old Kentucky native had strong support from her CIA colleagues, who praised her service on dangerous assignments around the world. She was also endorsed by former CIA directors from both Democratic and Republican administrations. 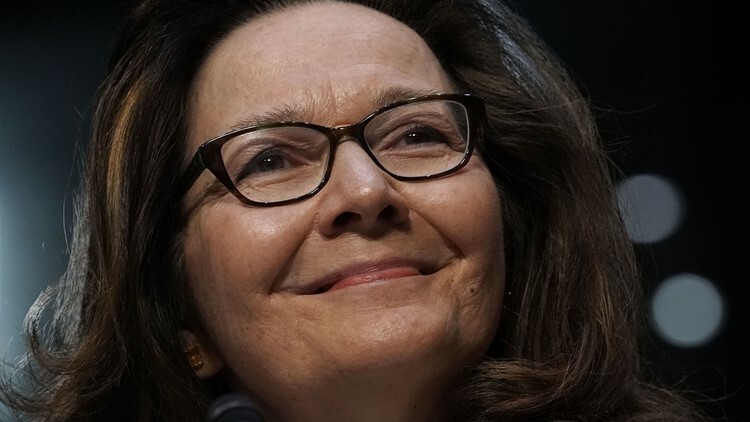 However, her nomination also drew criticism from former generals, admirals and diplomats for her role in the CIA’s now-outlawed torture program, which took place during the George W. Bush administration. 2018 was a breakout year for Nora Lum, known by her stage name Awkwafina. The Chinese-American actress and rapper starred in “Crazy Rich Asians” and “Ocean’s 8,” and she was the first Asian woman to host NBC’s “Saturday Night Live” in 18 years. Awkwafina opened the show with an emotional monologue about waiting in line 18 years ago to see her “idol” Lucy Liu host the show. 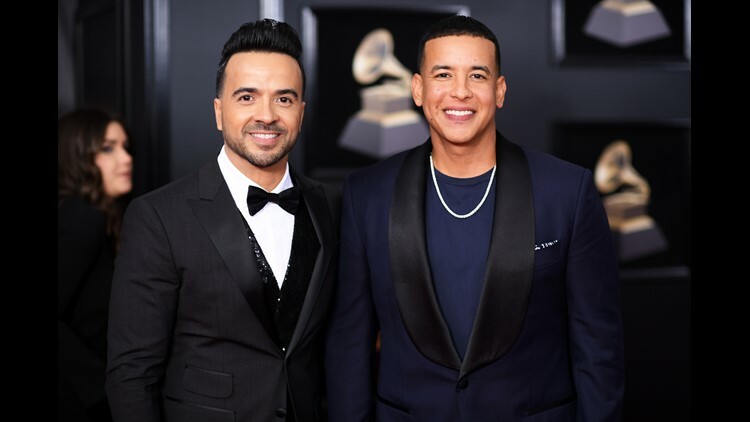 The song was also the first Spanish-language song to reach No. 1 on the Billboard Hot 100 chart since the “Macarena” and the first song to reach 1 billion streams on Spotify. K-pop has been gaining influence in the U.S. for years now, but 2018’s K-pop success belongs to BTS. The male group became the first K-pop group to debut at No. 1 on the Billboard 200. In June, TIME Magazine named the group one of their “25 Most Influential People on the Internet,” and they were featured again in the magazine’s “Next Generation Leaders” edition. They beat Taylor Swift for most-viewed video within 24 hours for their music video for “Idol” and remained on top until Ariana Grande dropped her video for “thank u, next.” The group even spoke at the United Nations I collaboration with UNICEF. Griffin is a linebacker for the Seattle Seahawks.His hand was amputated when he was four years old, and he made headlines for becoming the first one-handed player to be drafted in the NFL. Griffin played college football for the University of Central Florida with his twin brother, Shaquill. Both brothers now play for the Seahawks.